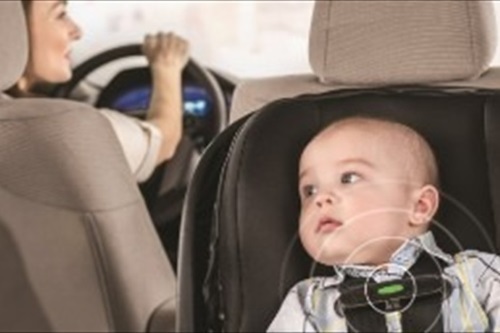 It is estimated that approximately 40 babies die each year from heat stroke after being left in cars. This is usually attributed to the fact that car seats for infants face away from the front of the car, allowing parents to forget about their sleeping children in the backseat. Now Walmart and Evenflo have teamed up to create the Evenflo Advanced SensorSafe Embrace.